Virtuoso of the Arts’ (The Times) Matthew Sharp is teaming up with one of the country’s most admired orchestras, the Northern Chamber Orchestra for an inspirational matinee concert at Stockport Town Hall on Sunday 3 March. Matthew has previously performed with Opera North, Manchester Camerata, and the Royal Philharmonic Orchestra amongst many others and returns to Stockport following a hugely successful and well-received concert with the Northern Chamber Orchestra last Spring. Matthew is internationally recognised as both a compelling classical artist and a fearless pioneer. 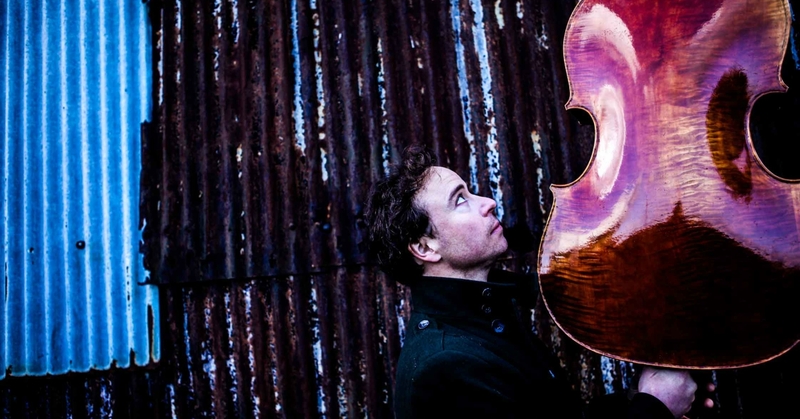 He is also an accomplished actor and animateur, having performed principal roles at the Young Vic and National Theatre, and during the days leading up to the concert will work alongside the musicians of the NCO with pupils from Stockport schools, culminating in the performance of Elgar’s Cello Concerto at Stockport Town Hall. The programme also includes Schubert’s Unfinished Symphony, two of Dvořák’s Slavonic Dances and the sublime Waltz from Tchaikovsky’s Sleeping Beauty. Matthew has recently been announced as the Northern Chamber Orchestra’s Artist in Association and has also been working with schools in Greater Manchester and Warrington on education and outreach programmes, concluding in concerts at Manchester’s RNCM and Warrington’s Parr Hall. Tickets for Matthew Sharp and the Northern Chamber Orchestra at Stockport Town Hall on Sunday 3 March 3.00pm, are priced at £20; students and under 18s go free. Tickets are available now.